FAMU’s pro day was rescheduled and when it finally got started, there were no pro scouts there to watch. Pro Day is supposed to be a chance for players to show NFL scouts what a pro prospect can do. Florida A&M seniors never got that chance. FAMU’s Pro Day showcase had zero NFL scouts show up, according to Tallahassee.com. The Pro Day was originally set to take place at 8 AM on Thursday morning, but was rescheduled to 4 PM. When the time rolled around, however, no scouts were around to observe. Florida State, the ACC program that also calls Tallahassee home, had its pro day at 1 PM. Scouts went across town, but never came back to FAMU. “It was a combo of a lack of communication. 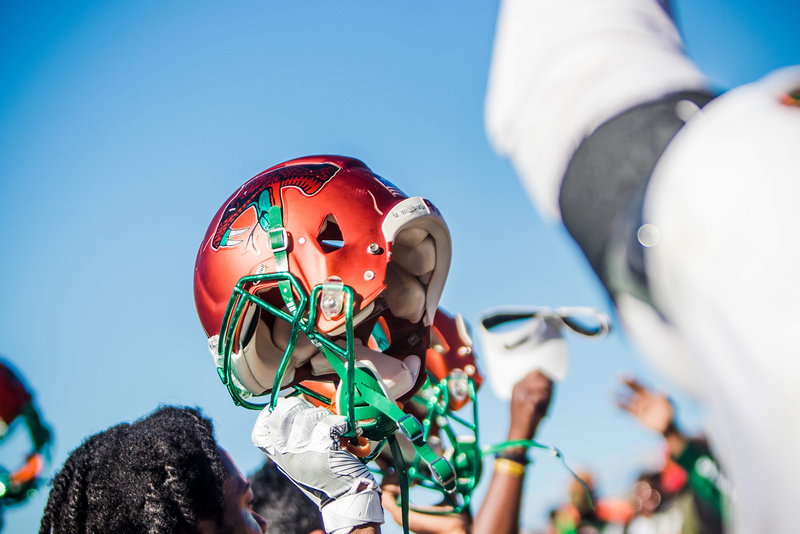 I can’t place the blame solely on them (scouts),” FAMU head coach Willie Simmons told Tallahassee.com. Former Rattler linebacker Akil Blount took to Twitter to express his disappointment with the situation, and the program. “Want to have a complete program certain things can’t just be neglected. Pro day is a critical part and the coaches should be involved in getting on the phone with scouts and seniors campaign,” Blount wrote. You have regular season games, spring games, etc that are all organized and emphasized. Want to have a complete program certain things can’t just be neglected. Pro day is a critical part and the coaches should be involved in getting on the phone with scouts and seniors campaign. Blount played under former coach Alex Woods at FAMU before earning a camp invite to the Miami Dolphins when his career was over. Alcorn State found itself in a similar situation last year after several of its prospects participated in the University of Southern Mississippi’s Pro Day prior to ASU’s.